Opaque material is cut into cabochons up to an inch or two, but faceted gems are exceedingly rare, and always small. Note: Haüyne is one of the major constituents of lapis lazuli, a well-know and ancient gemstone material. It is, however, rarely seen as a distinct gem species. It is cut for collectors mainly as curiosity, but faceted gems would be deep blue in color and extremely beautiful. 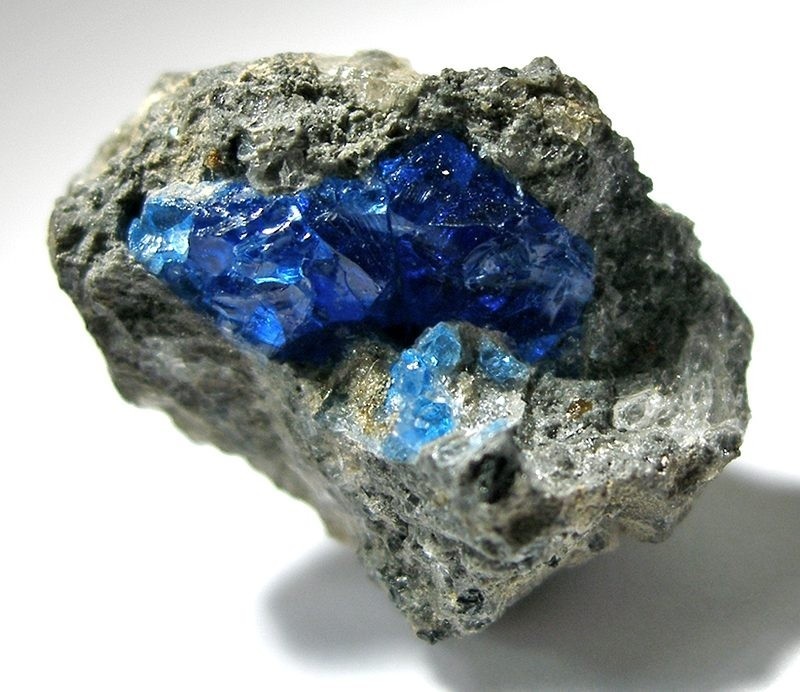 Blue is the most sought after color in this mineral. Haüyne is found is (main sources): Canada, Canary Islands (Spain), Germany, Italy, Russia, and Tahiti.